While visions of cloud migration danc'd through his head. I sprang from the kitchen to see what was the matter. When what to my wondering eyes should appear, my husband had awoke! He rubbed his eyes and began to chuckle when it became clear to him that I was making caramel. Now! Dash away! Dash away! Dash away smoke! I continued to burn sugar so that we would all have a sweet to be fed. The bubbling and darkening of something quite hot. I crossed my fingers The Caramel would not create a sound! In a large heavy-bottomed deep saucepan, add the water to the sugar. Put over medium flame and let the sugar dissolve, about 5 minutes, do not stir. Once the sugar is melted, turn the flame up to medium-high and boil uncovered. Resist the urge to stir, if the sugar is crystallizing on the sides of the pan, simply use the clean pastry brush dipped in water and brush down the sides, this dissolves any sugar crystals. Bring the mixture to a boil until the sugar turns a deep amber color,pull the pot off of the burner and slowly stir in the cream and butter, the mixture will rise and splatter so pay special attention not to burn yourself with the steam (this is when your tall pot comes in handy!) Stir until well mixed. The caramel may harden a bit, that's okay. Stir in the vanilla bean seeds and fleur de sel. 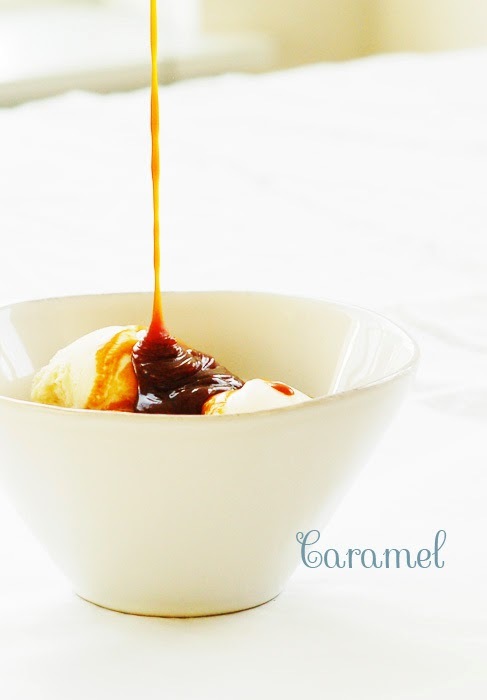 Put the pot over low heat and stir constantly until the caramel is melted, about 2 minutes. Pull from heat and whisk in the Macallan if making Victoria's Scotched Caramel. Let cool to room temperature and it will thicken up a bit, about 3 hours. Pour over ice-cream and baked apples, drizzle over crepes and for the holidays add a spoonful to your morning cup of coffee with a splash of cream. I always wanted to know how to make homemade caramel! (Love the poem to tell the smoke alarm story too;).